Because we like doing everything twice, we moved the clothes line. Actually, we did it because the hot tub made the old location unacceptable. Good thing we didn't set it in concrete like the instructions called for. We kaizened the installation by placing a chunk of concrete at the bottom of the hole. This should allow some drainage and prevent dirt from intruding from the bottom. 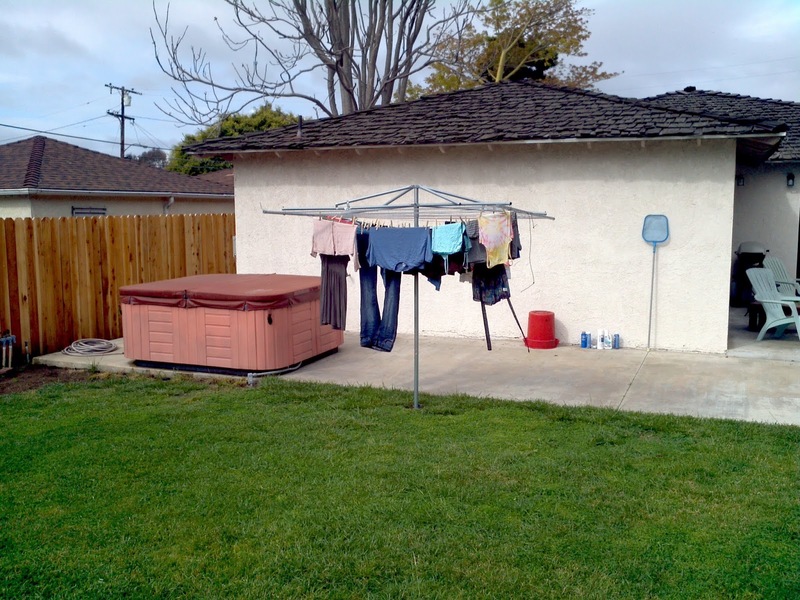 We also made a very big improvement to the clothesline itself, which has been a long time coming. 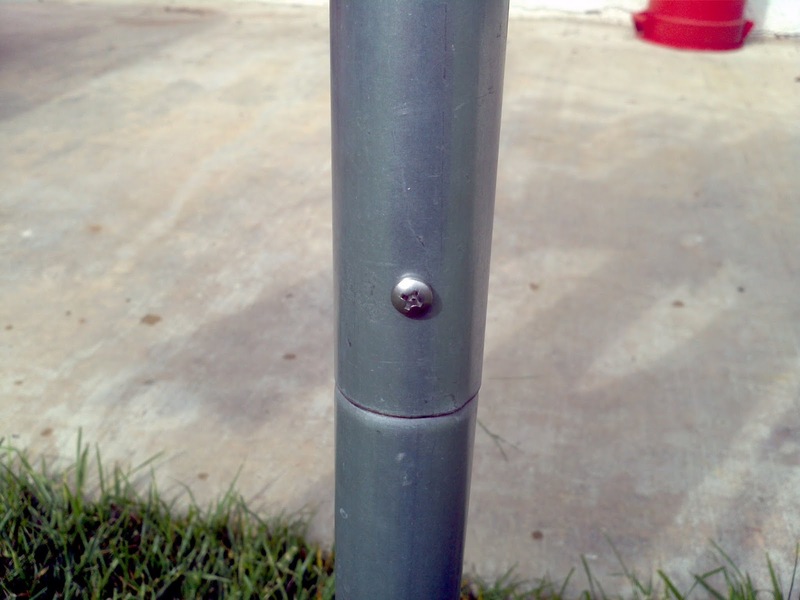 The main upright pole is actually two pieces. Out of the box, the two pieces don't connect in any way; they just slip together. When moving the apparatus, this is annoying because the bottom section always tries to run away. One little stainless steel screw solved everything. It is really nice when a three-minute project relieves immeasurable frustration.